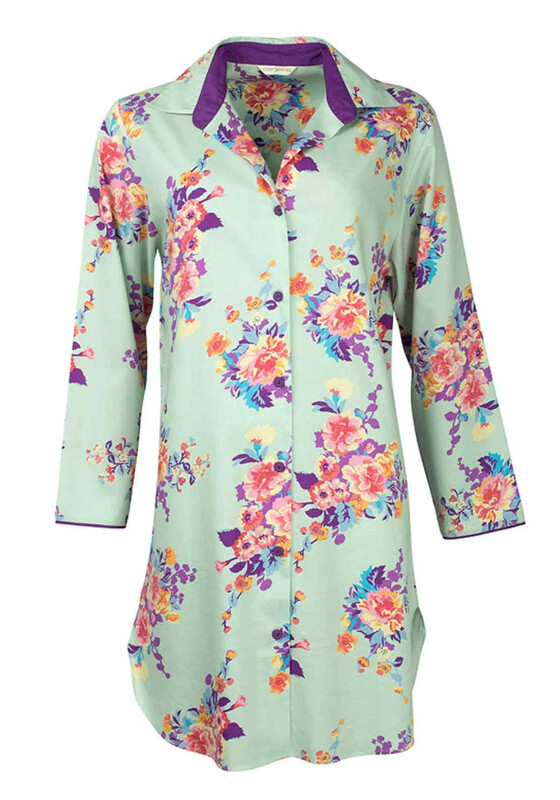 The ultra-feminine Waterlily at Dusk nightshirt from Cyberjammies would be a stylish update for your nightwear collection. Add a purple robe on chilly mornings or evenings. Made from lightweight cotton rich fabric which will deliver excellent comfort. 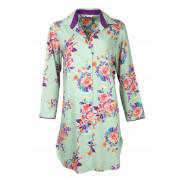 Other details include a beautiful floral print throughout, full button fastenings and a turn down collar.